Dubai Water Canal is an artificial canal unveiled on 2 October 2013 and inaugurated on 9 November 2016. It comprises one shopping centre, four hotels, 450 restaurants, luxury housing, walkways and cycle paths. 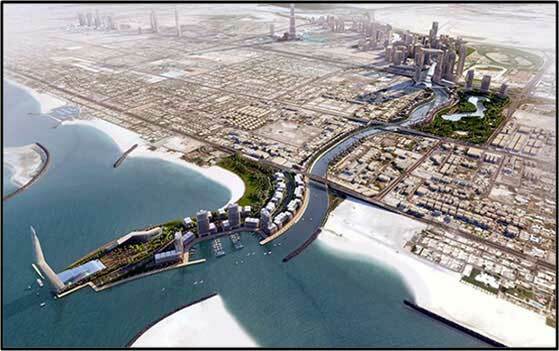 It is a three-kilometer long project starting from Business Bay into the Persian Gulf through Safa Park and Jumeirah. The width ranges from 80 meters to 120 meters. It is six meters deep and be crossed by eight-meter high bridges. It creates new public places and facilities with a total area of 80,000 square meters with private marinas for boats and a trade centre at the entrance of the canal. Dutco Tennant LLC / Business Communications LLC scope is to the supply of Outdoor PA/BGM System to the Dubai Water Canal walkways and cycle paths.